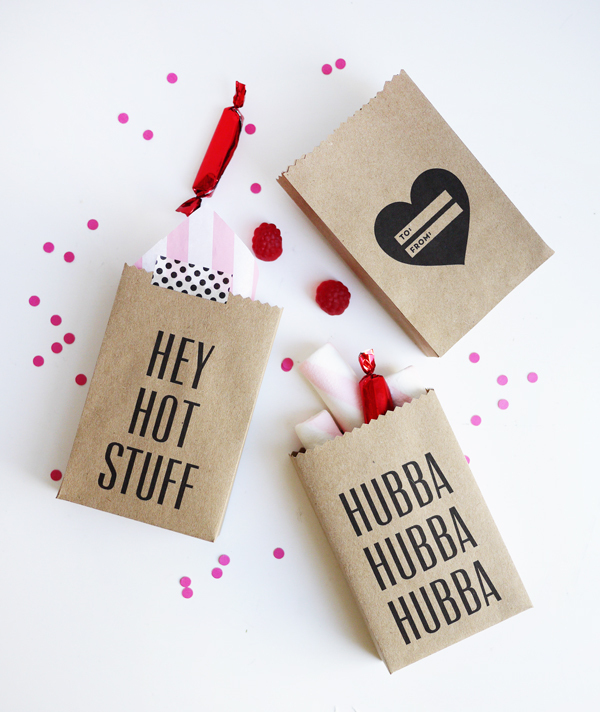 Step 1: Print out the Printable Valentine Party Bags template on 9×12 kraft paper (or cut-down to 8.5×11 ). 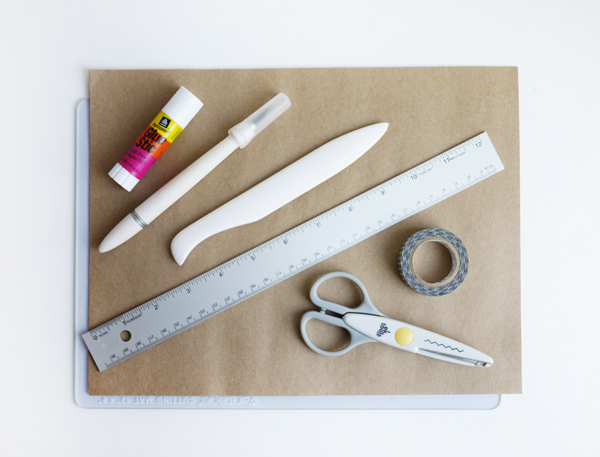 Using the ruler and kraft knife, cut out the bags. Step 2: With the decorative scissors, cut the top of the bags. Step 3: Using the ruler & bone folder, score all of the indicated lines and fold. Step 4: Glue the bottom and side tabs and fit treat bag together. You can use the bone folder to press glued tabs to the sides of the bag from the interior (see photo for detail). Step 5: Now add some treats to the bag and close with a piece of washi tape. Happy Valentine’s Day! 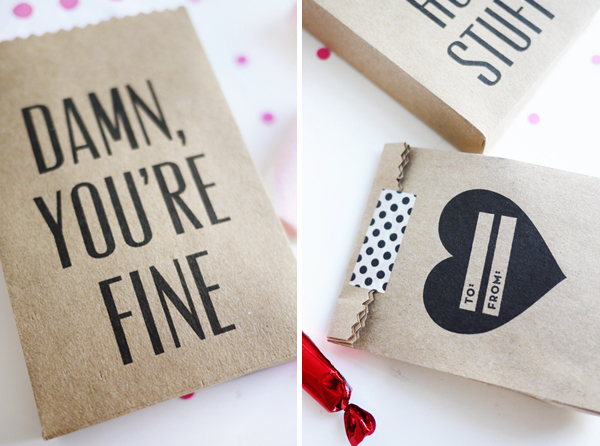 These are so dang cute! I’m most certainly bookmarking this post. 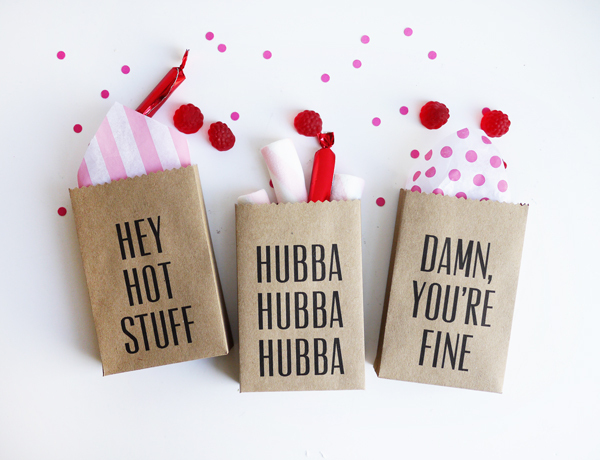 These are such perfect little treat bags! Oh my gosh these are too cute! Must try!! OMG! I love these so much!!!! These are adorable treat bags! 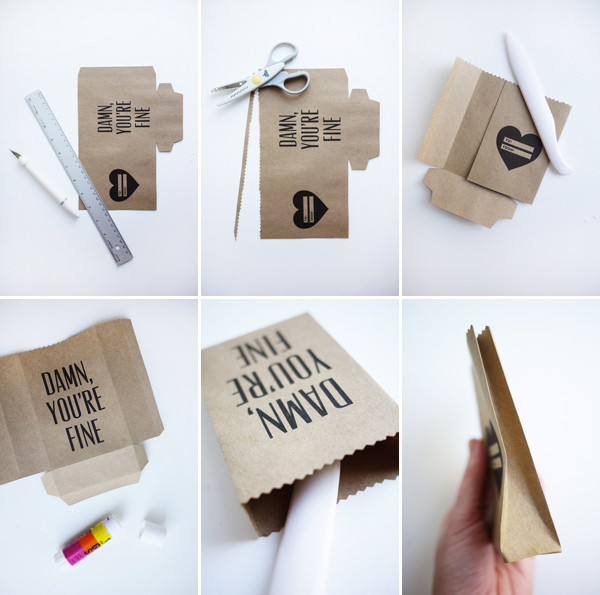 A great idea to offer a printable bag template. I love your photo styling as well! What are those little raspberry candies?? These bags are so cute!! I love how simple they would be to make. Oh wow! These are perfect! Love them! Thank you! This post helped me visualize how to turn some mini cardboard gift boxes I’ve been making into mini cardboard gift bags. Love the jagged edge on top of the bags – nice touch. Great idea, thanks for the post! 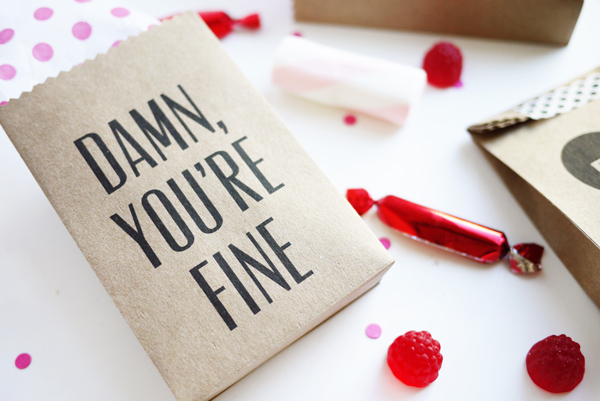 I included this to my Valentine’s Day blog post as well as one of my favorite Valentine’s gift idea!